Marfatia Broking is a Vadodara, Gujarat based financial advisory firm established in the year 1994. The company is in the share broking business for more than 20 years. The company offers a wide range of products and services to its customers. Marfatia Broking operates through four segments i.e. Equity, Commodity, Currency, Derivatives and IPOs. By associating with the broker, one can provide the following products and services to their clients for trading and investing purposes. 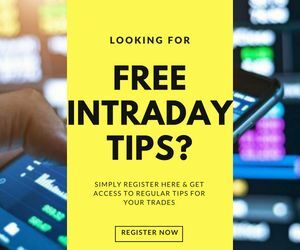 The broker provides free research tips directly on the mobile of your clients and also on the trading platform used by the broker. By joining hands with the broker you will also get various types of marketing supports. The company has Tie-up with some of the leading banks of India like HDFC, SBI, ICICI, BOB and many more through which your clients can do pay-in and pay-out directly. The broker believes in expanding its business through the Franchisee/Sub-brokers. That is why the broker offers a very attractive revenue sharing ratio with affordable security deposit (Refundable). It helps the broker to attract more and more clients and business partners. In this article, we will try to cover all important aspects of Marfatia broking sub-broker like the business model, revenue sharing ratio, security deposit, support to the sub-broker, offers etc. Following are the advantages of starting a partnership business with the broker. All products under one roof: Marfatia offers a wide variety of products for trading and investment purpose. Your clients need not move to other brokers in search of any other product as all products are available under one roof. Fast account opening process: The broker has fast account opening process. Your client will not suffer from the tough account opening process as the account will open very quickly. The brokerage charge of the broker is flexible so that it fits according to the capability of each client. Both online and offline trading platform: Marfatia offers the facility of trading through both the ways i.e online and offline trading platform. Quality research team: The company has an excellent quality research team who prepares reports through both technical and fundamental analysis. It helps clients to take the right trading and investment decision. 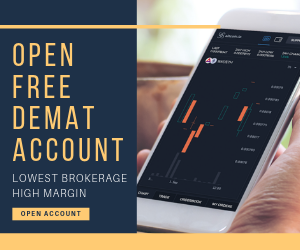 Free account opening: Your clients can enjoy the facility of free trading & Demat account and Commodity trading account. Mobile trading: our client can also do mobile trading anywhere and any time by downloading the application of Marfatia broking. Regular and timely reports: You and your clients can get reports like balance sheet, contract notes on a regular and on a timely interval. You can get monthly, quarterly or yearly reports. Support: The broker provides all possible and required supports to the partners to stand and run their business. You will get marketing support, technical support, business support etc. Attractive revenue sharing ratio: The broker offers you an attractive revenue sharing ratio in which you get the maximum percentage of the revenue generated by you and your clients. Marfatia broking offers only one type of business model through which you can start a partnership business with them. The Franchisee is the only partnership business model offered by Marfatia broking. This model suits you if you want to run your own business and have business-related decision-making capability. You are required to set up your own office from where you and your clients can work. You are also supposed to arrange some basic infrastructure like two computers, internet connectivity, printer, scanner etc. As a sub-broker, you will get business-related support from the broker side so that you can stand easily in the broking market. At the same time, proper training will be provided to you and your clients related to the products and trading platform. You can enjoy the unique and long term relationship with the broker. All products are available to offer to your clients. Access to the research reports, trading platforms and other tools used by the broker. Flexible brokerage plans are available to offer to your clients. An opportunity to develop your own identity as a businessman. The revenue sharing ratio between the broker and the sub-broker is 70:30. The broker will keep 30% of the revenue generated by you and your clients while you will get 70% of that. But this ratio is not fixed, it can be changed as per requirement and some pre-decided criteria of the broker. Some conditions on which this ratio can be changed is your projected revenue, bargaining power, security deposit and past experience in the same field. For example, suppose the revenue generated by your clients and you is ₹1,00,000 then your share is ₹70,000 and your broker’s share will be ₹30,000. Every business partner needs to deposit some security money with the broker to start a partnership business. Marfatia Broking Sub broker business requires ₹50,000 security deposit or shares worth ₹1 lac. The security deposit is refundable, will be refunded at the time of your exit from the agreement. However, the broker provides you with one unique facility in which you need not pay franchise fee up to the first 6 months of franchisee opening. After that, you will be charged a minimum amount of ₹250 annual maintenance charge plus tax. You are also required to pay registration charge which includes ₹6900 for equity and ₹1150 for the commodity. Marketing support: The broker provides business partners with a Glow sign board and visiting card to create their own identity in the business world. Technical support: They provide you with technical support like trading platform. Odin software is provided to the sub-broker as a trading platform. Back office support: You can easily get reports of your business on an equal interval of time by the help of back office. You can retrieve your account information, trading reports on monthly, quarterly, yearly or day to day basis. Business support: You will get proper help from Marfatia Broking Sub broker in your business set up. They will help you in client acquisition or office set up as much as possible. 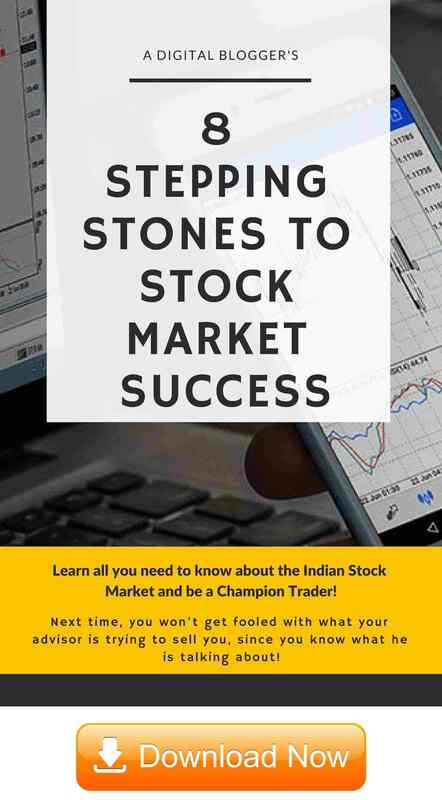 Here are the steps which you are required to follow in case you want to become a sub-broker. You will get a call to confirm your interest in the partnership business with the Marfatia Broking. Another call will be from Marfatia Broking to fix an appointment with the sales team of the company. At the meeting, you can ask anything related to the partnership business like their business model, revenue ratio, supports, security deposit, offers, the support provided to the sub-broker or any other query you have. Submit all the required documents for the KYC purpose with the security deposit cheque or shares. An agreement will be signed between both the parties. Finally, after KYC you will get an ID to start your business. The whole process will take at least 6-10 business days to complete. If you are the one who wants to work for yourself and you have the necessary business acumen, then Marfatia broking is offering you an opportunity to work with them. The broker provides you with various supports and helps to stand in the competitive market. Marfatia Broking Sub broker business model offers an attractive revenue sharing ratio with the facility of increasing it with some predefined criteria. You are also not supposed to pay any franchise fee until you complete 6 months of the partnership business. The research team of the broker provides very accurate reports to help your clients as high as possible. Hence, Marfatia broking is one of the best options to start a partnership business in the broking space.